Rik Mayall died on June 9th this year…. as I was walking down the youtube today evening I stumbled upon his angry face….. as a caution I asked him where is the ‘theatre’ and he got so angry, he looked at me and said.. I don’t know ask Vanessa Redgrave….. he said it was his most angriest poem…. I told him I wanted to listen to a Love poem and he said he only had an angry love poem… that he would be wasting his time but he will let me listen to it…. And he threw a youtube link and me and said… shut up and listen to it…. 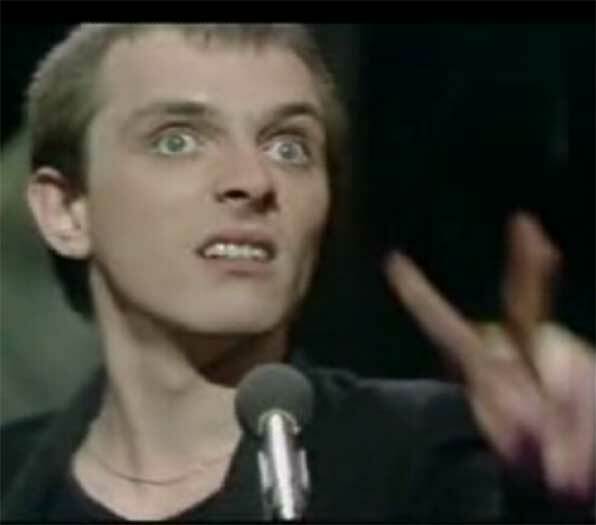 if you don’t like it come here and read for yourself…..
here why don’t you listen to it… RIP you RIK… You have made many laugh….. and keep doing it…….